Comments: ALTERNATE EDITION: Used - Good TEXTBOOK ONLY - ANNOTATED INSTRUCTOR COPY 1st Edition May contain highlighting/underlining/notes/etc. May have used stickers on cover. Ships same or next day. Expedited shipping takes 2-3 business days; standard shipping takes 4-14 business days. 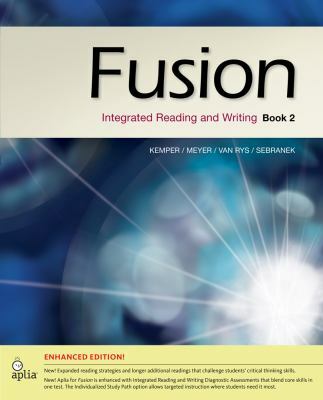 Dave Kemper is the author of 'Fusion Book 2, Enhanced Edition: Integrated Reading and Writing', published 2014 under ISBN 9781285464978 and ISBN 1285464974.